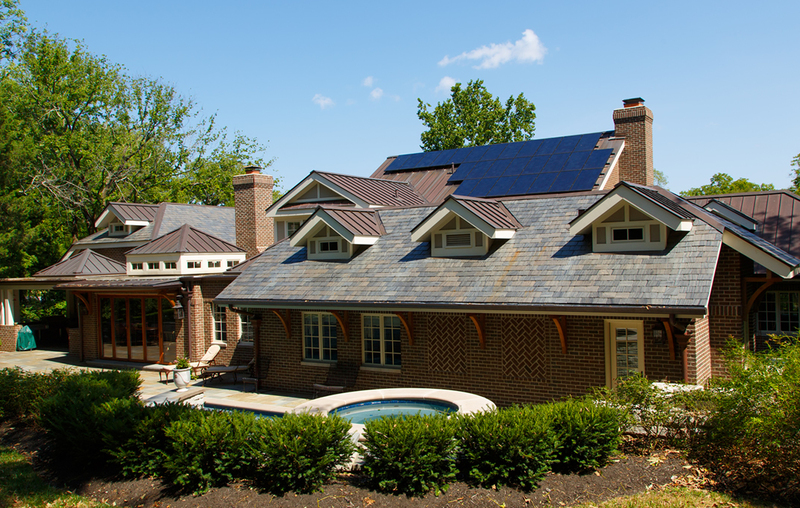 Don Kennedy Roofing excels in finding errors in gutter systems and properly fixing the issues. 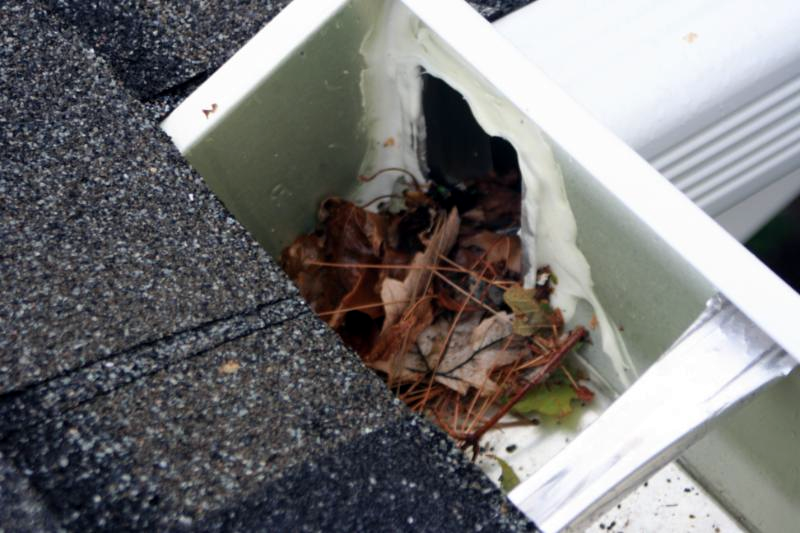 Many gutter systems have errors such as a leaking seam due to fallen gutters. We can replace anything from a section of gutter to the entire gutter system. Don Kennedy Roofing takes pride in finding the problem and correcting it the first time. Gutters cost less than 1% of the cost of your home, but can save you thousands in expensive repairs. 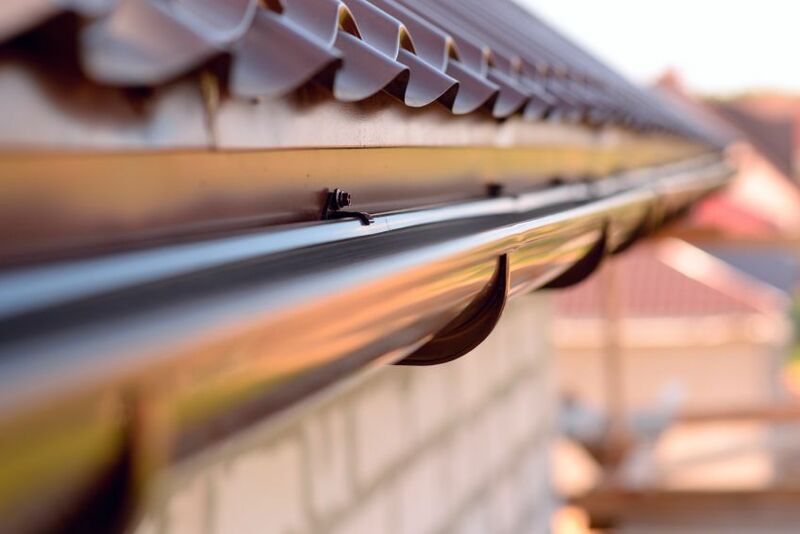 Gutters are designed to carry water and runoff from your roof and safely move it away from vital components of your home without damage. A properly installed gutter system will protect your home from foundation problems, basement leaks, rotted windows and damaged fascia boards and soffits. At Don Kennedy Roofing we are leaders in the industry not just because of our quality of work, but because we care about you and your home. 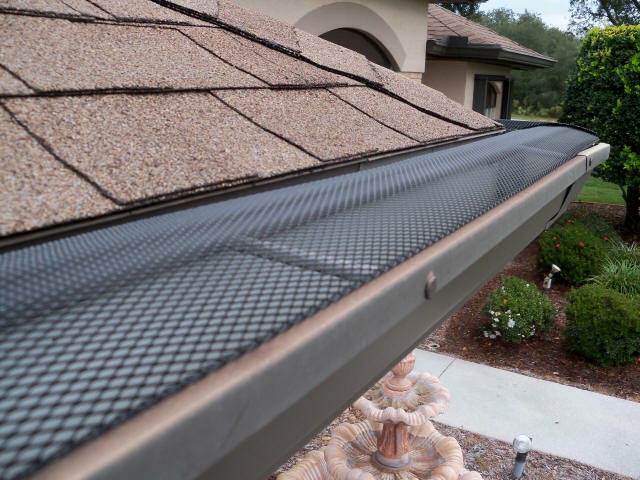 Whether you have noticed a gutter pulling away from your house, or issues with water diversion. Our experts at Don Kennedy Roofing would like to assist you in a thorough gutter inspection. 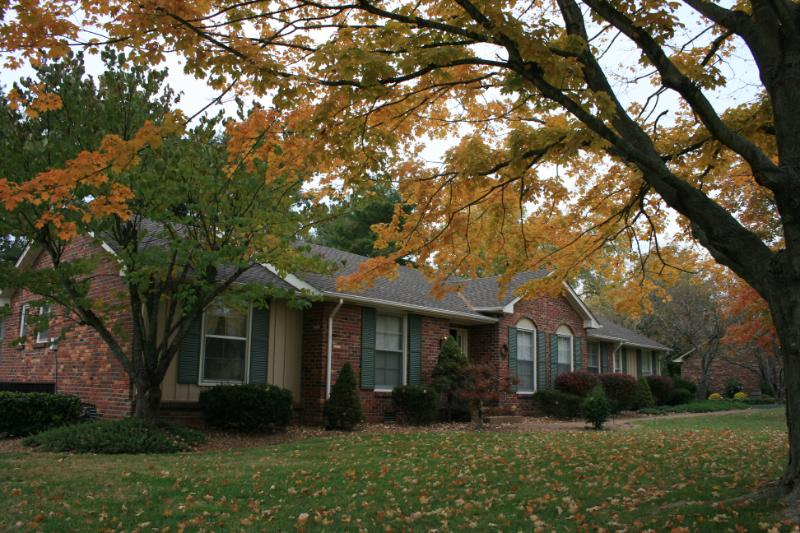 Leaves can build up and clog the downspouts, which can cause water damage to your roof and fascia (the board behind the gutter). Water pouring over the gutters or from leaks can end up next to your home’s foundation, in the basement or crawlspace. You can trust that you will have a thorough inspection completed by one of our highly skilled inspectors. At Don Kennedy Roofing we believe in getting the most life out of your gutters. Maintenance is a key element to saving money on your gutter system by providing a longer service life. Preventative maintenance should be performed semi-annually to identify and solve problems as they occur. 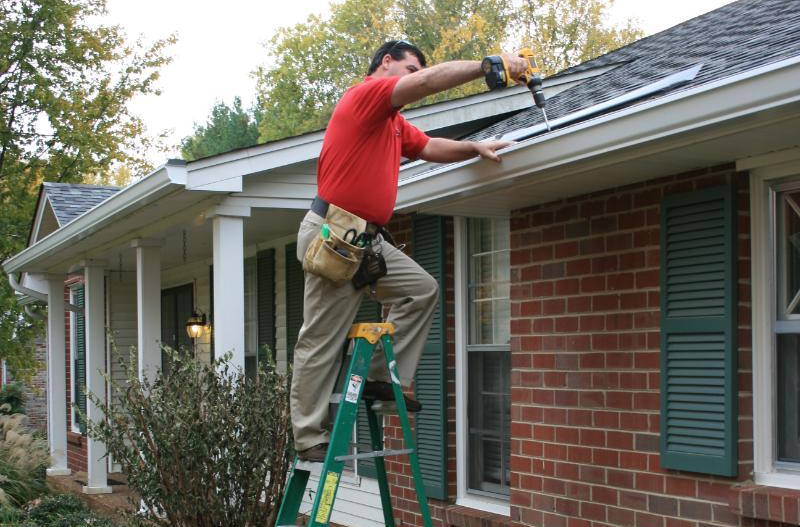 Is cleaning your gutters worth falling and getting hurt? Don Kennedy Roofing will clean all the debris in your gutters to make sure they work properly again. Also, Don Kennedy Roofing can inspect the gutters while on site to make sure they are in good condition for years to come. See Gutter Pro System for a debris protection system that actually works. 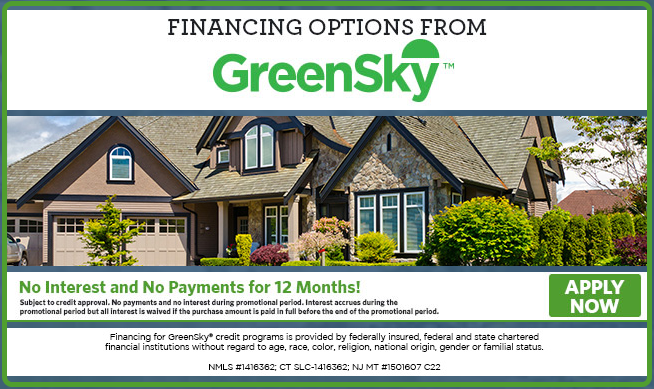 If financing a new gutter system makes sense for your family, we invite you to apply for a loan with our partner GreenSky. They have more than 1.3 million satisfied customers and carry an A+ rating with the Better Business Bureau. We’ve found their loan process to be fair and customer friendly through the years and encourage you to apply with them if it fits your needs.